A free trip to the Northern Territory! Sounds good, thinks Marcus ('Mucus' to his sister Rose). But when his best friend Dylan joins the family holiday, mayhem is not far away. Fast-paced comedy-adventure from award-winning author Barry Jonsberg. Blacky the farting dog has a mission that Marcus and Dylan can't refuse. Trouble is, this mission involves a monstrous saltwater crocodile who would much rather chomp on a human for dinner than have a civilised conversation. Of course, there's also the small matter of a giant big-game hunter on a collision course with our heroes. And will Marcus be any match for his mean older sister Rose and her light-sabre-wielding best friend Cy Ob Han? Blacky the master of disguise is back, full of attitude and smelly as ever. Barry Jonsberg was born in Liverpool, England, and now lives in Darwin with his wife, children and two dogs - Jai and Zac. Barry has written several novels for young adults, all of which have been published to great acclaim. The Whole Business with Kiffo and the Pitbull was shortlisted for the CBCA Book of the Year (Older Readers) in 2005. His second book, It's Not All About You, Calma! won the Adelaide Festival Award for Children's Literature. Dreamrider was shortlisted for the 2007 NSW Premier's Award. All of this has convinced Barry he is a smartypants. His dogs, however, are equally convinced he is a sad loser and that the time he spends in front of a computer would be much better employed walking on the beach. 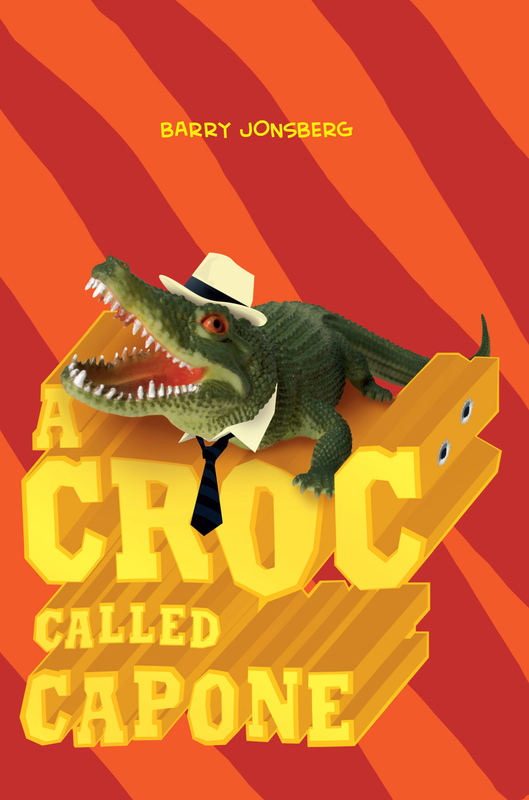 A Croc called Capone is the sequel to the very funny The Dog that Dumped on My Doona, Barry's first book for younger readers.